But the ground beneath the drilling rig collapsed, leaving a hole with a diameter of 70 metres. It was hoped that the fire would use all the fuel within days, but the gas is still burning today.The flames generate a golden glow which can be seen for miles around Derweze, a village with a population of about 350. 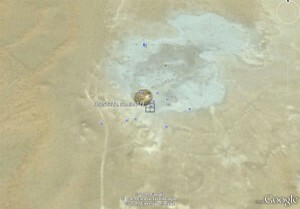 The site is about 260 kilometres north of Ashgabat, the capital of Turkmenistan. 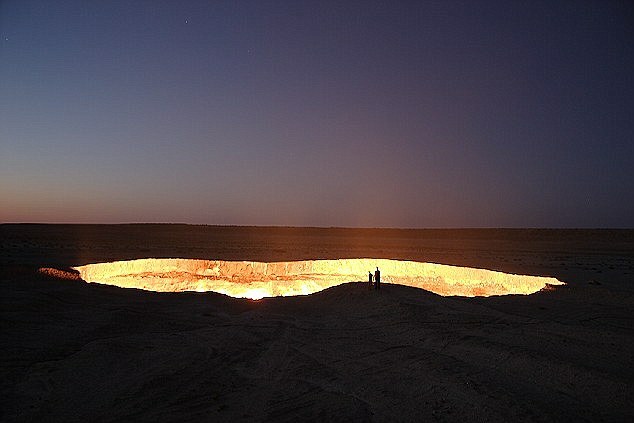 In April 2010 the country’s president, Gurbanguly Berdimuhamedow, visited the site and ordered that the hole should be closed but this is yet to happen. The area has significant oil and natural gas deposits.